This book is such a treasure. Like many people, I have a nostalgia for vintage train travel (even though I never experienced it). I even got married at an old roundhouse. There is something very elemental about iron, steam, fire and coal getting you from one place to another. 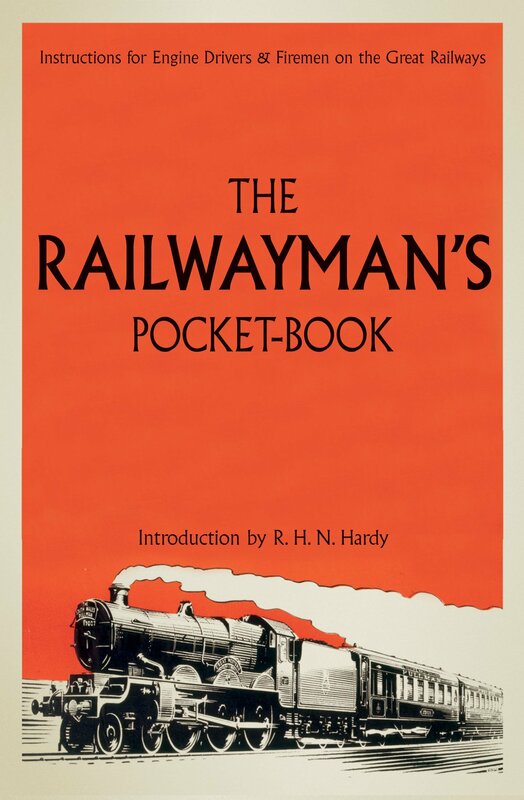 The Railwayman’s Pocketbook is a compendium of indispensable information for anyone who worked on or for the rail system. The contents include engineer’s drawings of the steam valves and couplers, which are beyond my understanding but fascinating nonetheless. But there is plenty for the layman — like the signal codes for both lanterns and hand signals. I was particularly captivated by the guidelines regarding the conduct of the employees, even down to how they should apply brakes or release valves to as to minimize lurching for the passengers. Basically, don’t flash your lights, don’t speed, and don’t honk — but it sounds so much better the way they wrote it. These are from the late Victorian handbooks, but this compilation includes regulations all the way up until 1947. This is a perfect addition to a railway or vintage travel enthusiast’s library.